Businesses that integrate location based applications into their marketing strategies are keeping step with today’s social consumer. The 2012 consumer expects immediate response and thrives on instant gratification, which is exactly what location based services can offer. Through location based apps, which employ GPS technology on smartphones, businesses can reward people for “checking in” at a place of business or an event. Location based services benefit consumers and businesses alike. Consumers are social, mobile-users who demand convenience. LBS allow people to share information, tips and experiences with each other, right where they are. Proximity will always remain a key convenience factor for consumers, and what better way to provide instant gratification to those walking through your door, than to be able to offer discounts or free products/services to folks checking in. A new study conducted by the Pew Internet & American Life Project found that about 74% of smartphone users use location-based services to find out information about what’s around them. In addition, one in five (18%) are checking in to local businesses — from restaurants to movie theaters — with geo-social services such as Foursquare. Smartphone adoption has grown from 35% in 2011 to 46% in 2012, bringing with it more access to location-based apps and services. The amount of consumers who “check in” to certain places via geo-social services has grown by 50% since last year. McDonald’s ran a specific Foursquare campaign to coincide with an annual Foursquare day event. Check-in behavior increased 33% on the day of the event, but, more importantly, it increased 40% the following week. A family-owned New York City steakhouse had an impressive first experience with Foursquare generating an $18K ROI. Subway partnered with a location-based texting service in the UK to provide discount vouchers that can be scanned using smartphones. This is an innovative approach combining bar code recognition with location-based texting allowing consumers to take advantage of the offer right from their phones providing a convenient, relevant solution for a targeted segment of consumers. Free word of mouth—There’s no more efficient way to market your business than through the words of a satisfied customer. An eMarketer Study in March 2011 found that the primary factor that influences US consumers to try a local business is recommendation from a friend (52%). Reviews attached to each location/business–Let’s face it, human inclination is to lynch a company providing a poor customer experience, and usually only extremely satisfying customer experiences are worthy of taking the time to post a review. If your customer experience is mediocre, then your word-of-mouth marketing will be mediocre, at best. If consumers checking in aren’t giving reviews, be a catalyst, ask for their feedback. Provides insight into consumer’s interests— You’re doing something right by getting them in your door, but continuous improvement is necessary to keep them coming back. Most LBS applications provide analytics, so be sure to establish goals and objectives and then monitor the results. Strategize how you can use these learnings to improve the customer experience. Enhance Event marketing and promotion—LBS is a way to tout your events and promotions to consumers right in your area. Improves search engine results – geo-tagged media returns higher search results. Listening – LBS is a platform not only for consumers to check-in, but also to share, so it is important to monitor comments and understand what is being said. Study what customers are saying and sharing, and where appropriate, respond to comments/suggestions, or complaints. My fellow contributor Raymond Morin has some very practical e-reputation advice. Beyond managing your reputation, take advantage of the conversation to improve, recognize and reward your customers. Attracting more local social savvy customers – Tailor offers according to existing strategies, make them easy to share – think about ways to position these offers to attract a new segment of consumers who are actively using social platforms. The word of mouth potential is significant because these consumers openly share their experiences with their social networks. Act on Insights Gained through LBS – Use analytics to evaluate free product/service offerings to understand behavior of walk in traffic or to identify peak sales times, track visitors, customer demographics, and whenever possible, direct traffic to your web site. One important note: if you are directing to your web site from a location-based media property, be sure it is optimized for the mobile experience. On-location check-in like Foursquare: Foursquare is a location mapping and social networking service that allows users to let their friends know what they are up to by checking in to different venues. This is great for businesses as it helps them track consumers whereabouts as well as the things they are saying about each venue. There are other similar services like SCVNGR, Yelp to name a few. Social Coupons like Groupon or Living Social: Groupon is a marketing service that offers its subscribers daily discount coupons by email, Facebook and Twitter feeds. Typical Groupon deals focus on local restaurants, stores, services, events and regional products. Today, there are thirty-five million registered Groupon users worldwide. Usually these services make the offer contingent on a minimum number of users accepting the offer before it can be redeemed. Review-based apps For example, Citysearch is an online city guide that provides information about businesses in the categories of dining, entertainment, retail, travel, and professional services in cities throughout the United States. Visitors to each of Citysearch’s local city guides will find contact information, maps, driving directions, editorial, and user reviews for the businesses listed. The app is designed to encourage more reviews than other sites such as Yelp. Bizzy is designed to encourage more participation through quick reviews with buttons (“Love it,” “OK” or “No Thx”) that people can click instead of writing a review. In tech lingo that’s called “frictionless.” People can also upload a photo of a dish as a sort of review. Check-outs with photos get more comments and feedback which has encouraged more people. Don’t just pick an app and throw in a free item offer. Decide the type of outcomes you would like to see. Are you trying to build loyalty or acquire new customers? Perhaps both. Once you determine the desired outcome, match your platform selection and offers with your target audience. Have you thought about leveraging LBS? What benefits could your company realize from LBS? Joseph Ruiz is an expert in Customer Experience Marketing. 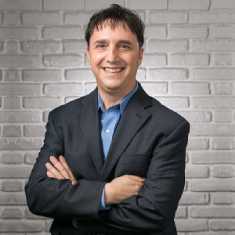 Joseph is President of Strategic Marketing Solutions, a full-service marketing and consulting firm specializing in web-based integrated Relationship Marketing. Joseph thrives on the ever-changing nature of marketing in the digital age, embracing interactive opportunities, while applying three decades of hands-on expertise in online and traditional marketing. When he’s not helping business-makers navigate through complex marketing challenges, Joseph enjoys reading, working out and traveling just about anywhere…anywhere you can get a digital signal, that is. Great article Joe. Trying to track all of it for a small business is a daunting task. Especially when all they see is a ‘checkin’ or ‘review’. The analysis of the data is important, and the actionable items as a result of the analysis is where the payoff is. Time consuming. I think they have to pick a couple of services, start engaging….and hope they made the right decision. Excellent observation and suggestion Stan. Thanks for stopping by.